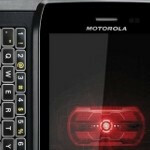 Earlier this month, rumors starting circulating about a December 22nd launch for the Motorola DROID 4. That date came and went with obviously no release of the next phone in the game changing series and now it appears that the device will have a February rollout. But that doesn't mean that the Motorola DROID 4 is not ready to be held in the hands of Verizon customers. After all, the first time we had seen the model, it already looked ripe and ready to go and that was only a few months after the launch of the Motorola DROID 3. 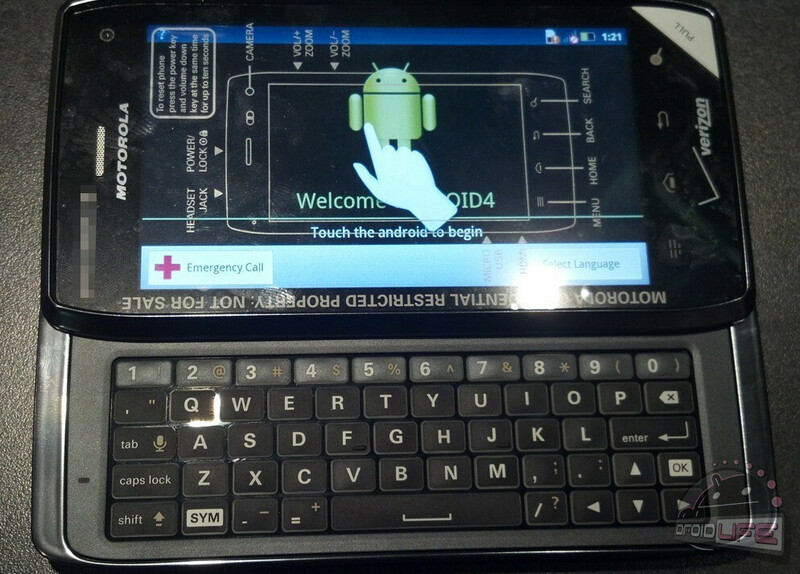 Recently, the Motorola DROID 4 has begun to show up at the DROIDDOES site starting with the logo making an appearance. That was followed up by the appearance of an entire page showing off a picture of the unit with more information about it. But it would seem that Motorola's first LTE enabled side slider was pushed back to allow for the Samsung GALAXY Nexus and the Motorola DROID RAZR to keep the spotlight at Verizon. Furthermore, there are rumors about a handset called the Motorola DROID MAXX coming to Big Red which could offer a bigger battery and perhaps some pumped up specs in a slightly thicker form factor when compared to the DROID RAZR. The Motorola DROID 4 could have been pushed back to allow the carrier to squeeze in the release of this enhanced DROID RAZR. More evidence that the Motorola DROID 4 is ready to go anytime came from six audio clips obtained by Droid-Life. The clips, which can be found at the sourcelink, sound like audio that would be used on the DROIDDOES web site and basically discusses some of the specs (like the 1.2GHz dual-core processor, the 1GB LP DDR2 RAM) and some of the phone's features (slide out QWERTY, edge-lit keys for typing in low light, lag free 4G video chat). Put everything together and you have a phone all ready to be released. Verizon must be confident in the DROID 4's specs to hold off on releasing it now. Otherwise, in the fast moving smartphone game, waiting a few months could turn a ripe device into the smartphone equivalent of bananas that are months old. just get a new plan then sale your Razr and that would offset the cost of the phone and the plan. Then make the secont line a "device tester line". Its only 10 bucks a month or you can cancel the line all together. Sounds more complicsted than it really is. Ive done it many times before. just trade it later on. someone out there with a Droid 4 one day will miss having a slimmer device and want a Droid Razr. they're the same phone so why not? i could see that happening very easily. If a December, 2011 release is still in the cards, there aren't many days left for that to happen.... It would be nice to see a December, 2011 release of the D4, but I am not holding my breath on that one. I doubt that this will be released before the year is over. If they were to released it this month they should've at least released it before the holidays. But I see this more of at least a Q1 launch in 2012. I do agree that a 1Q2012 launch is the highest probability outcome for the D4. I wonder if it will launch with ICS, or will ICS be a future upgrade? I want to say and I hope that it does come with ICS installed because ICS should be open for manufactures to start sending the update to it's devices and with the Droid 4 hopefully releasing in Q1 2012 it just wouldn't make much sense for it to not to be released with ICS preinstalled. I'm not sure, but other than the Nexus devices, isn't Motorola usually the first send updates to their devices? they have been consistently for the past 2 major Android updates (i won't count the XOOM because it was pretty much the Nexus tablet) also Droids of the original lineage have always come out with the latest version of Android installed out of the box so there's a pretty good chance that ICS is the cause for the Droid 4's delay. it's probably ready to be launched but i think that they still want to get this baby out with ICS preinstalled. I think that Verizon and Motorola should stop releasing newer and better devices every 2-3 months. Fairly soon, no one will want a smartphone because they won't be able to keep up with the latest devices. As is, by the time a "new" device hits the market, it is already outdated. I have no problem with the release of the Droid Razor and the Droid 4. The Droid 4 will be Verizon's first LTE Slider. Something the Droid 3 should have been. As for the Razor it was just replacing one of it's top selling phones with one that has LTE. If it releases soon with ICS, it will be my next phone.